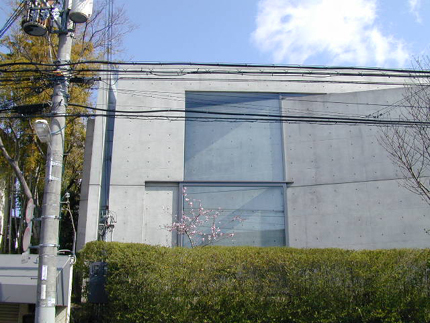 Located in a quiet residential neighborhood in the suburbs of Osaka, the small Christian church made of silky smooth concrete sits modestly within its environment. 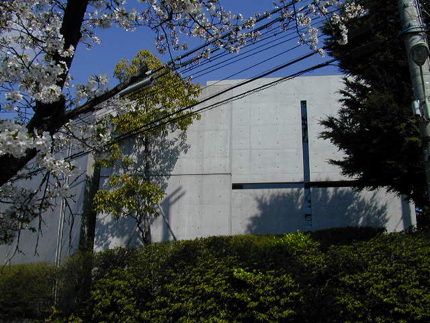 The communal church consists of two rectangular volumes that are both cut at a 15 degree angles by freestanding concrete walls. One indirectly enters the church by slipping between the two volumes, one that contains the Sunday school and the other that contains the worship hall. The space of the chapel is defined by light, by the strong contrast between light and shade. 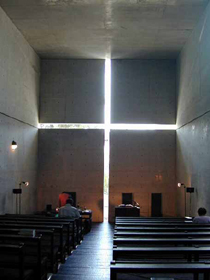 In the chapel light enters from behind the altar, from a cruciform cut in the concrete wall that extends vertically from floor to ceiling and horizontally from wall to wall, aligning perfectly with the joints in the concrete. 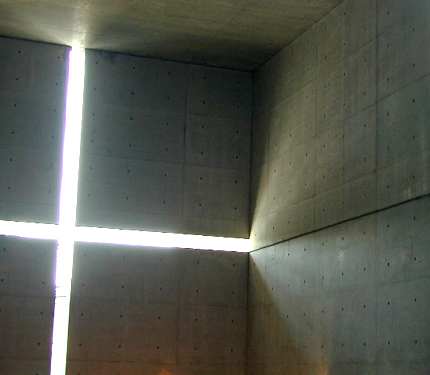 From this cruciform shape an abstract and universal light seems to be floating on the concrete wall, its rays extending and receding over time with the movement of the sun. 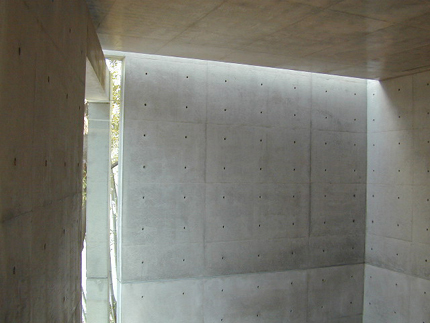 Light is also permitted to seep into the interior from the slicing of the volume by the freestanding concrete wall. The darkness of the chapel is further accentuated by the dark and rough-textured wood of the floor planks and the pews which are built out of reused wood used during construction as scaffolding. In contrast to the darkness of the chapel the interior of the Sunday school is built of lighter colored wood with a smooth surface. The volume of the Sunday school opens up to a double height space with a mezzanine level that contains a small kitchen, bench and table which are used for congregation gatherings. 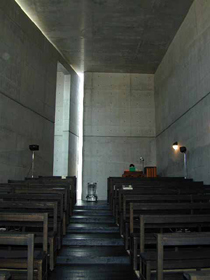 The volume containing the Sunday school also has light that penetrates the space through the slicing of the volume by the freestanding concrete wall. The space comes alive not only with ever changing light but also through the voices of children singing, sounds of the piano, adults enjoying a meal of soba noodles after Sunday worship and laughter. From JR Osaka station take JR line to JR Ibaraki station (13 min.). From here take Kintetsu-bus to Kasugaoka-koen bus stop (10min.). The church is located to the northwest 100 meters. Sunday worship service begins at 10:25am. Visitors need to make a reservation on the web site of Church of the Light, which also shows the schedule for visitors; or email light@ibaraki-kasugaoka-church.jp.